If you’re a blog reader, chances are you’re also an aspiring blog writer. Launching a for-profit weblog is extremely attractive because it has the potential for endless profit with practically no overhead. Launching a blog is a quick and easy process even for the absolute beginner. The following is what I learned from my pre-lifehack.org blog in which I earned over $100 and received over 100,000 page views my first month blogging. I did it and you can too! Make the jump to find out how. First things first, you’ve got to get the technical stuff out of the way. The “technical stuff” I’m talking about includes choosing a blogging platform, choosing a hosting service, and choosing a domain name. Chances are you’re well aware of the various blogging platforms so I won’t spend time going over them. I think the best blogging software to use is WordPress. 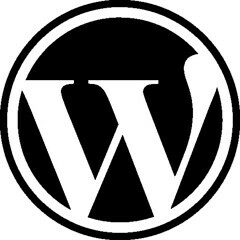 Darren Rowse over at ProBlogger.net has an excellent post that describes the features of WordPress 2.0. After you’ve decided on a blogging application, you need to chose a domain name and a hosting service. If you have never blogged before (or even if you have) you will find that it is easiest to chose a domain name and hosting package from the same service provider. GoDaddy.com has 24/7 technical support (although you will pay a premium compared to other hosting providers) and it will completely automate the installation of WordPress for free. If you are not a technical person, this frees you from messing around with all the technical junk. It is extremely important that you think long term before picking a domain name. After you establish your blog, you aren’t going to be able to transfer your domain name without losing your readers, really! Think of your domain name as being permanently attached to your blog. Your domain name should be as short as possible, easy to remember, easy to speak, and not include any part of your name unless you’re a celebrity (which you’re not). You should avoid using any part of your name because if your blog becomes popular enough to sell, having your name as part or all of the domain name will drive down some of the blog’s value. Sign up for advertisements immediately. You’re not going to make any money without advertisements. Yahoo!, Google, Microsoft, Amazon and many others offer advertisements that you can easily integrate into your site. I had great success using Google Adsense. Despite what you may have heard, you can make some pretty good money with Google ads. Checkout Darren from ProBlogger’s survey about Adsense income. I also recommend signing up with PayPopUp banner ads. PayPopUp pays you every time their ad is displayed, you don’t have to rely on users clicking the links. This will not make you nearly as much money as Google Adsense, however it is guaranteed money even if no visitors click your advertisements. After your blog is established, the goal should be to ditch third party advertisements and sell advertising space directly to companies. You will want to track as much information about your visitors as possible, the easiest and most detailed way of doing so is with Google Analytics. Amongst many other things, Google Analytics lets you see the referring URL of your visitors, your top content, what Google searches are landing users at your site, how long users are staying, and their exit points. Knowing this information will help you customize your content so that you can maximize your readership. You should also consider using Site Meter to publicly display your site’s up to the hour traffic to potential advertisers. That’s enough talk about setup, it’s time to talk content. That’s right, you need to write at least 50 posts your first month. That’s 2-3 posts per day, everyday for 30 days. It may seem tough, but it is absolutely necessary. The number one way that you will lose potential readers is to not update your site regularly. You need to establish readership, and get your Google Page Rank up, if you can’t come up with 50 posts the first month, you may want to consider finding another topic for your blog. Adding several posts per day will help increase the amount of Stumbleupon traffic your site grabs. This recommendation is going to bring some negative comments, I’m sure. Regardless, digg.com is a tremendous way to advertise your site for free. Honestly, submit every article you write to digg. When you are starting a brand new blog, besides exchanging links with more establish blogs (which I recommend) there will be absolutely no links to your site. Even if you think the article is no good, submit it to digg. Let the digg community decide what is good content and what is not. You might as well let your work get some exposure. Some of my most popular posts through Stumbleupon got less than 4 diggs. Every article that doesn’t make the front page of digg will land you about 100 page views. If you do make the front page of digg (it’s a great feeling, believe me). You will get anywhere between 3,000 and 20,000 page views per day. I know some of you have been blogging for a very long time. What would you add that I didn’t mention? Is there anything I suggest that you disagree with? Please share your opinion in the comments.